HCL has officially launched Me Champ for kids. The HCL Me Champ comes with standard specifications, but at a affordable price. 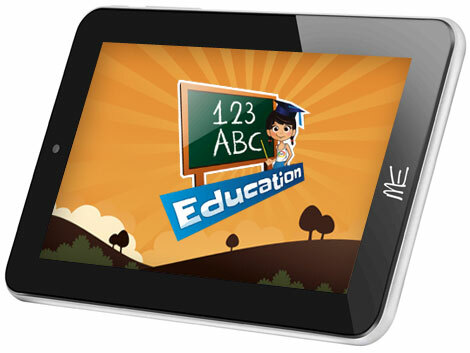 It comes pre-loaded with Educational apps, usefull stuff, Books and Games, so that kids can sharpen there mind skills even while playing games. It has 7-inch WVGA capacitive touch screen display, 1GHz ARM cortex A9 processor integrated with Mali 400 GPU and runs on Android 4.1 OS. It will compete with recently launched Binatone App star, Swipe Junior and Samsung Galaxy Kids 3. The HCL Me Champ is Priced at RS 7,999 and is available from dealers, stores and online retailers. HCL ME has also announced KIDS ARE CHAMP sponsorship program, which would let 10 lucky winners to win scholarship of RS. 5,00,000.